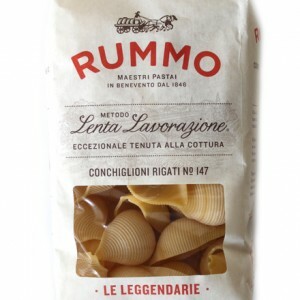 Also known as Gemelli, the Riccioli pasta shape is a close cousin to Fusilli. 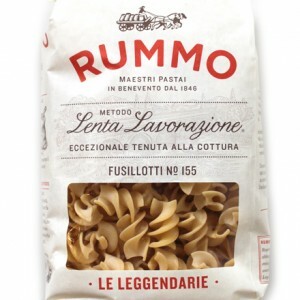 It’s double twisted edges curl in on themselves creating smooth crevasses for pasta sauces to settle into. 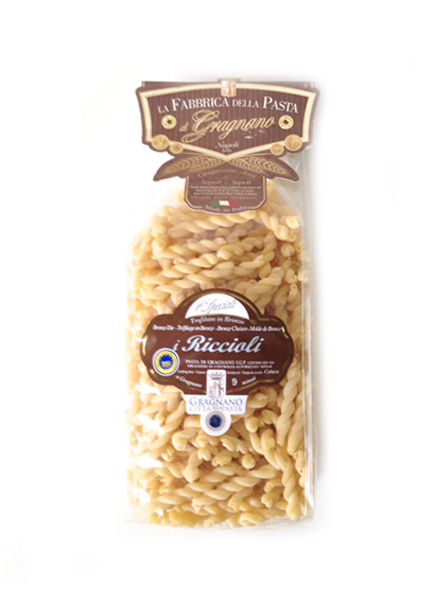 Riccioli can be substituted for Fusilli pasta and pairs perfectly with pesto’s and summer pasta salads. 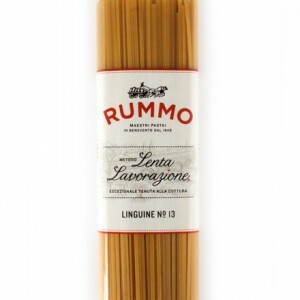 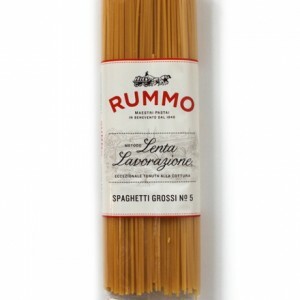 Durum wheat semolina, Gragnano’s water.